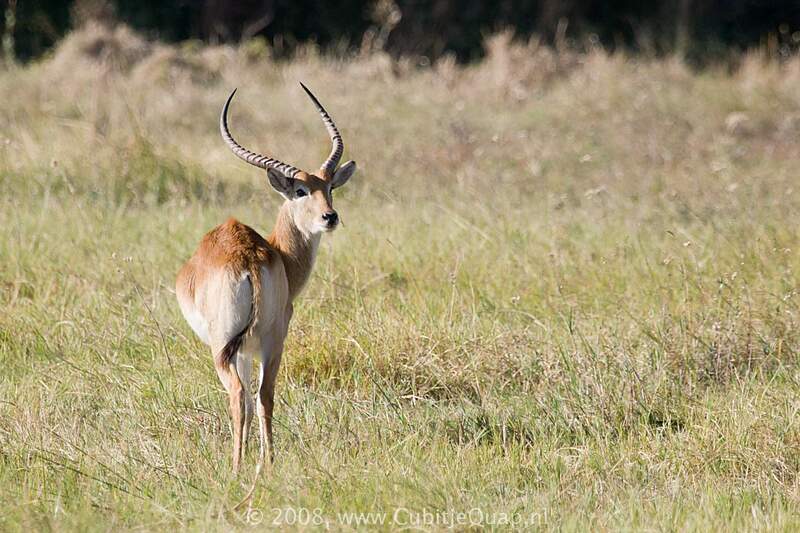 The hindquarters of the lechwe are noticably higher than the shoulders and its muzzle is quite short. Upperparts are bright chestnut and the underparts from chin to belly are white. There are consicuous black lines down the front of the forelegs. Only the ram has the long, strongly riged, lyre-shaped horns. The tail has a tip of black hair. 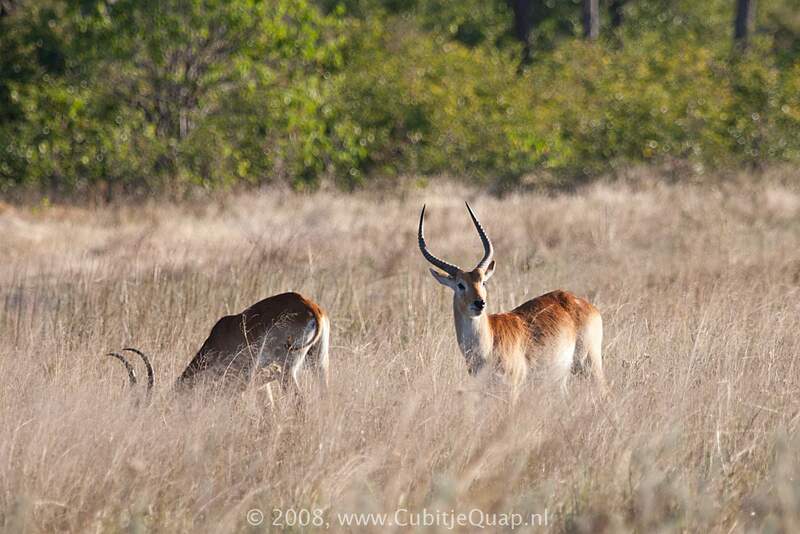 Floodplains and seasonal swamps; rarely ventures more than 2 or 3 km from permanent waters. 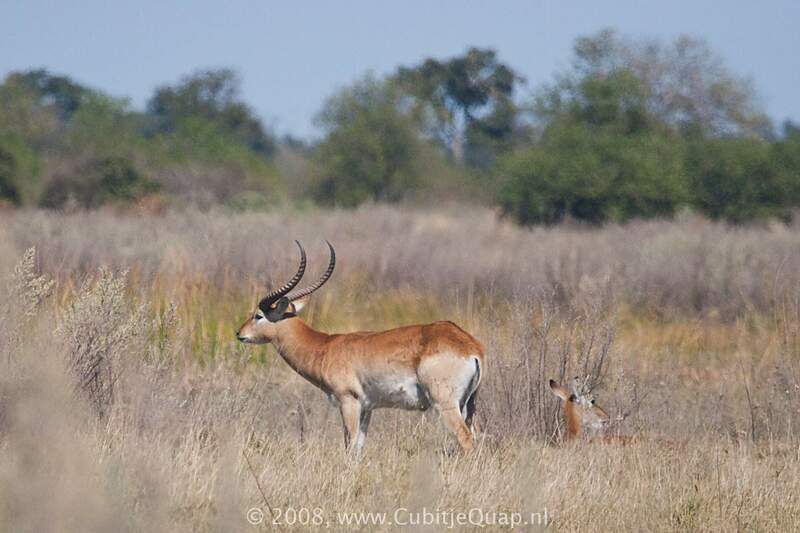 Next to the Sitatunga the lechwe is the most water-loving antilope. It takes readily water to feed and when threatened. It usually occurs in herds in herds of up to 30 individuals, but occasionally many thousands may be seen together. Rams form small territories within which they keep small groups of ewes for mating. On edges of mating grounds small groups of non-territorial rams congregate. Ewe herds with their young move freely between ram territories. 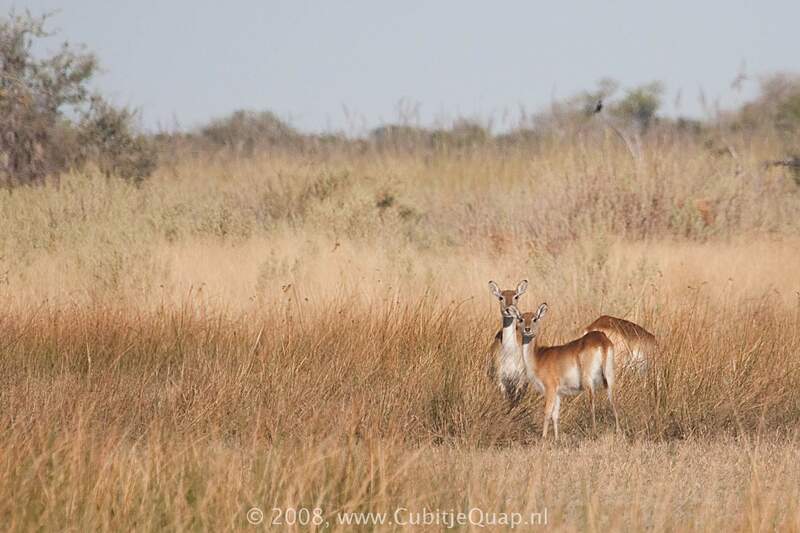 Lechwe are active during the early morning and late afternoon, lying up during the heat of the day and at night. Although quite slow on land they can move rapidly in shallow water and swim readily.